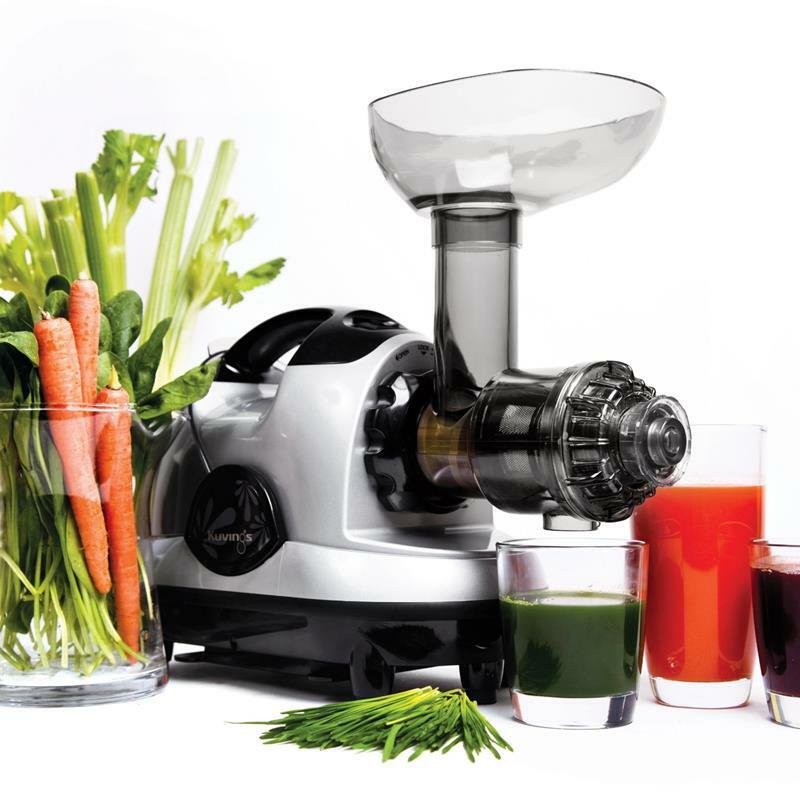 After surveying dozens of machines available on the market, we’ve identified the Omega J8006 Nutrition Center Juicer as the best masticating juicer available today. 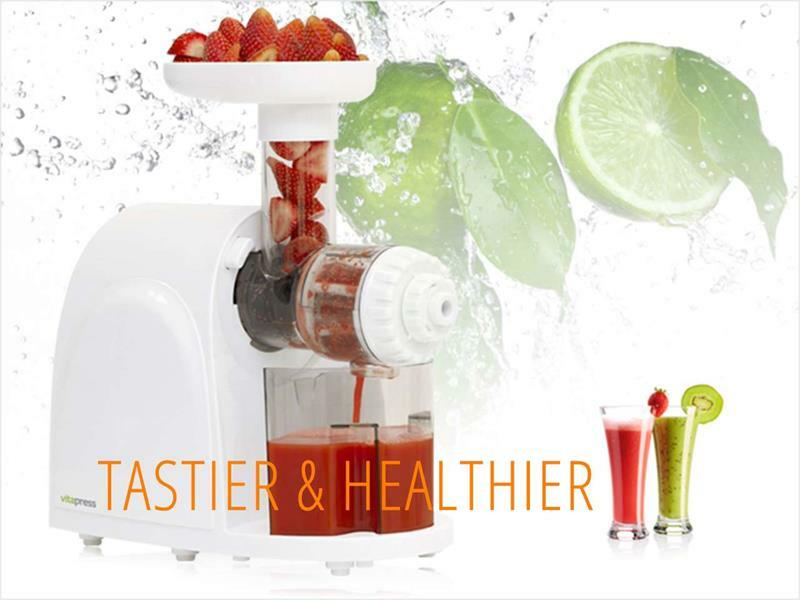 As a juicer itself, it offers an incredible degree of efficiency, capable of yielding juice from fruits and vegetables at an incredible rate of 75%. In addition, the machine is soundly made, with easily detachable components that are dishwasher safe and a cinch to clean. Finally, this machine, which is backed by a comprehensive 15-year warranty, can be more than just a juicer, capable of becoming a pasta maker or even a machine for making nut butters and homemade baby food. Below, we’ll tell you more about this incredible masticating juicer and its features, as well why you should ultimately choose a masticating juicer over the generally cheaper but less efficient centrifugal juicers out there. In addition, we’ll also discuss our pick for the best budget masticating juicer. It’s one that can get you started in the juicing game without breaking the bank due to its sub-$100 price point. We think you’ll be impressed. Finally, we’ll take a look at seven of the most notable machines that we tested when sampling the market in order to arrive at our pick for the best masticating juicer, the Omega J8006 Nutrition Center Juicer. Who Should Own a Masticating Juicer? We understand that juicers aren’t an inexpensive purchase! Because of this, we know that you want to make sure you’re getting sound and true advice when it comes to purchasing the right one for your needs. Especially if you’re willing to plunk down more than $200 (or even $300 and $400) for a masticating juicer, you want to make sure that you’re getting a product that’s worth the expense, something that feels like it cost the money you spent. That’s why in making our pick for the best masticating juicer, we’ve left no stone unturned. We have, of course, inspected and tested out many of the leading juicers on the market, from those manufactured by Omega to those by big brands like Phillips and others. In addition, we’ve also looked deeply into reviews written by the people whose opinions really matter: juicers. We also consulted information provided by leading consumer product reviews, like those at CNET and Consumer Reports. Needless to say, if you’re looking to purchase a masticating juicer for your home, you’ve come to the right place! If you’re new to juicing, you might be wondering what all the fuss is over. Well, it has a lot to do with health. For a variety of different reasons, people around the world have turned to juicing in order to create healthier diets for themselves and their families. Unlike juices you’ll find on the shelves of your local grocery store, homemade juices that you can create with masticating juicers aren’t laden with extra sugars. Because of this, you’re able to derive the health benefits of a diet rich in fruits and vegetables without mitigating those benefits with the health drawbacks of consuming too much sugar. Without a doubt, though, two reasons that many turn to juicing are for weight loss and cleanses. While juicing can no doubt help you in these departments, it’s important that you proceed with caution. As WebMD notes, juices created with large amounts of fruits are likely to be incredibly calorie intensive due to the natural sugars present in the fruit. Also, a diet that makes almost exclusive use of cold-pressed (masticated) juices may be lacking in fiber and protein, something to keep in mind and that could damage the long-term impacts of a juicing diet. When using a juicer as part of a diet or to simply be “healthier”, there’s an important thing to note. Whether you’re talking about juices created with masticating juicers or centrifugal ones, the juicing process is known to remove fibers that would ordinarily be present in your fruits and vegetables were you to consume them on their own. Therefore, if you’re going on a “juice cleanse” or something similar, be sure you’re augmenting your fiber intake. You can do this either by using supplements or by adding some of the pulp, which is created by your masticating juicer, back into your juice. 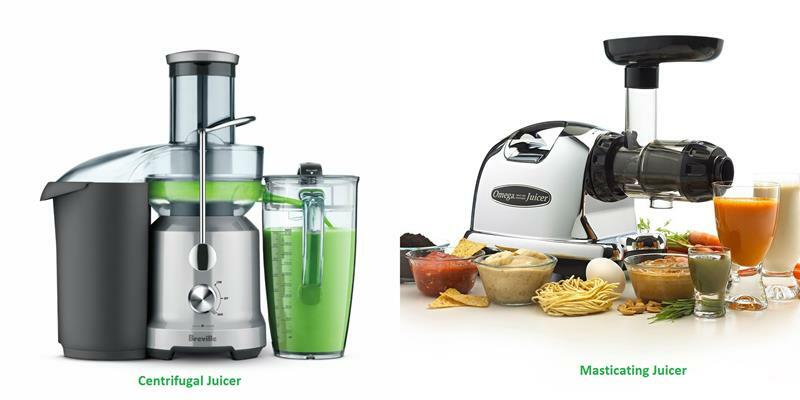 When trying to select a juicer, you’re going to be presented with two primary options: centrifugal or masticating. While your first intuition might be to believe that there are no essential differences between the two, the truth is assuredly otherwise. Both kinds of juicers offer various advantages and disadvantages that you should consider when making a purchase. By far the biggest advantage of a centrifugal juicer is the price. On the whole, most centrifugal juicers will be much cheaper than masticating (or “cold-press” or “slow press”) juicers. An entry-level centrifugal juicer will cost around $20, with higher-end models coming in at around $200. Centrifugal juicers work by spinning juice around in a chamber while teeth break down the fruits and vegetables inserted into the juicer. With the teeth breaking the fruits and vegetables down into a pulp, the juice is then extracted by the centrifugal force of the juicer. As the juice is created, it then comes out through a spout where it can be collected. All told, you’ll find that juice created by these kinds of juicers is ‘thinner’ than those created by a masticating juicer (more on this below). For the most part, a centrifugal juicer can tackle most fruits and vegetables. However, there are limits. For one, anyone wanting to include wheatgrass in their juices will find that centrifugal juicers are not equal to the task. Likewise, they will find that centrifugal juicers have difficulties dealing with harder-to-breakdown vegetables as well. In the end, this will limit your options when it comes to juicing recipes. The biggest drawback to a centrifugal juicer, though, is something known as oxidization. Because a centrifugal juicer spins fruits and vegetables around at a high speed while breaking them down, the pulp and juice are exposed to air, leading to oxidization. Why should you care? Well, oxidization (in addition to heat created by friction) leads to a breakdown of the enzymes, nutrients and antioxidants in the fruits and vegetables you’re juicing, making your juice less healthy than it might be otherwise. Masticating juicers work by a different process that doesn’t lead to oxidization and that preserves the health benefits of the juice you’re creating. They’re able to do so by mimicking the ‘masticating’ process – i.e. acting like a human mouth of sorts. As fruits and vegetables are fed into the juicer, they’re crushed and squeezed at an incredibly slow rate. This process limits the effects of oxidization and also introduces less friction (and heat) into the process. Because of this, the enzymes in the fruits and vegetables are much better preserved than they are with a centrifugal juicer. Ultimately, this leads to a thicker and richer juice than you’d get with a centrifugal juicer. There are other benefits to this process, too. Virtually anything that you’d want to be able to be juice (and even things that you’d thought you wouldn’t be able to) can be juiced through this process. Whereas a centrifugal juicer will struggle with something like wheatgrass, a masticating juicer will tackle the vegetable without breaking a sweat. And, aside from expanding your options when it comes to juicing, the masticating juicer has one other crucial benefit. On the whole, you’ll be able to retain 20% more juice from the same fruits and vegetables than you would with a centrifugal juicer. This last point is something to keep in mind when it comes to considering the price. Masticating juicers are significantly more expensive than centrifugal ones. An entry-level juicer will typically cost between $150 and $200, with higher-end models coming in at $500 or more. Still, when you consider that there’ll be significantly less food waste in the long run, the price difference between masticating and centrifugal juicers balances out. While there are plenty of budget juicers available on the market, it’s important to remember that you get what you pay for. Budget juicers aren’t as efficient as their higher-end brethren, and they’re much more prone to breaking down through repeated use. When you make the choice to purchase a high-quality masticating juicer, you’re getting something that – through proper care and maintenance – can last for years and years, delivering all the benefits you would expect given the size of the investment. Given that the best masticating juicers do not come cheaply, they’re best for those who are serious about juicing and wish to continue the practice for many years to come.If you’re going to purchase a masticating juicer for yourself, then be sure to think about how much use you’re really going to give the machine. If juicing is just a passing diet fad for you, then perhaps your money might better be spent elsewhere. Still, once you experience what the best masticating juicers are capable of, you may find the desire to juice sticks more easily than you might have ever expected. If there’s one thing that masticating juicers are perfect for, though, it’s gifts. Given the expense, the masticating juicer often fits perfectly into that category of things that people want to own but wouldn’t necessarily buy from themselves. If you’re looking for a holiday or birthday gift for a health-conscious individual, then a masticating juicer makes perfect sense! Just the same, we’re sure that we don’t need to tell you that the best masticating juicer – which we’ll be discussing below – would make the perfect wedding gift for a couple who’s near and dear to your heart! Aesthetic: As with any other high-end kitchen appliances, you want something that’s going to look good. Put another way, you want something that you’d be proud to have displayed on your countertop. 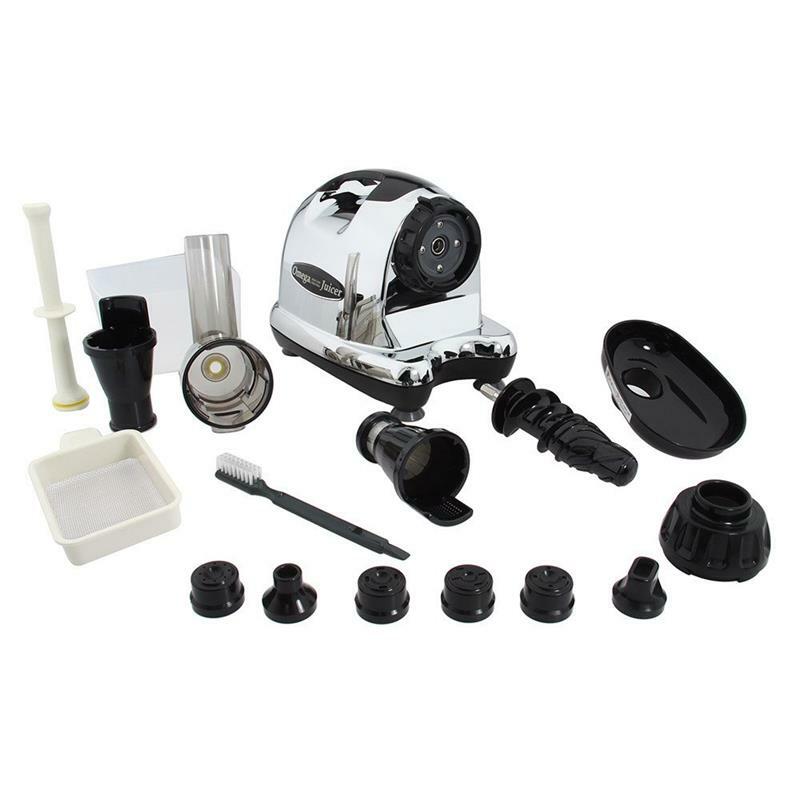 Overall Design: Masticating juicers involve a number of different parts. How are they put together? Are those parts easy to clean? Are they dishwasher safe? The Noise Factor: Grinding down fruits and vegetables into healthy juice isn’t always a silent process. Some masticating juicers are better than others at operating silently. 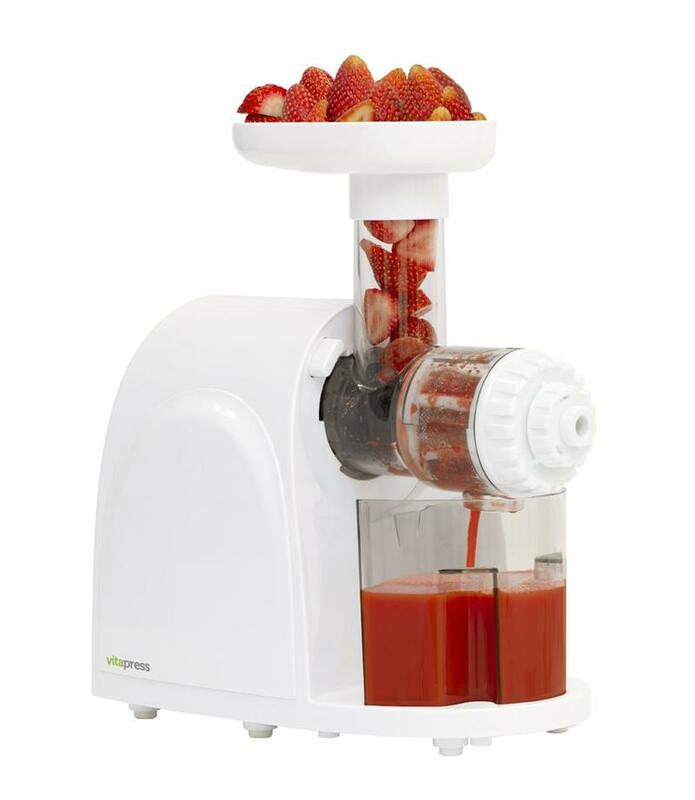 Yield: One of the main benefits to buying a masticating juicer is that you’re able to yield a larger amount of juice from your fruits and vegetables. On the whole, masticating juicers do better than centrifugal ones, but there are differences within the masticating category, too. Juice Shelf Life: Depending upon how efficient the masticating juicer is at its job, the juice created can last longer or shorter than it will with other masticating juicers. The best masticating juicers can give you up to 72 hours of shelf life. Ease of Maintenance: In order to for your juicer to last as long as possible, it needs to be easy to clean. How many components are there? Are they dishwasher safe? Additional Functionalities: Some masticating juicers on the market can do more than just break down fruits and vegetables. They also offer additional attachments for doing everything from making fresh pasta to making baby food. Warranty: Like any other kitchen appliance, masticating juicers can break down. When this happens, you want to make sure that the money you’re spending is backed up by a robust warranty. Reviews: Beauty is in the eye of the beholder. In deciding what the best juicers are on the market, we also took into account reviews from people who use these juicers every day and also reviews from expert sources. In our tests and surveys, we’ve concluded that the best masticating juicer on the market today, by a decisive margin, is the Omega J8006 Nutrition Center Juicer. 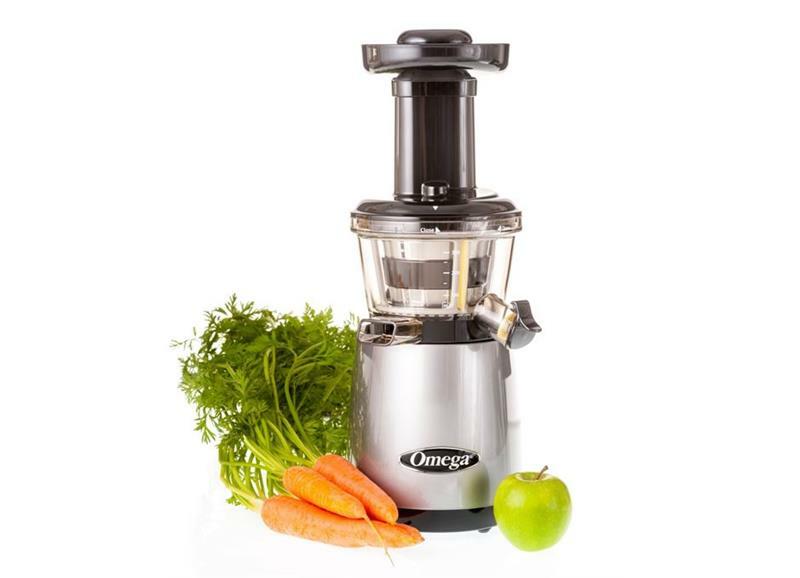 No matter where you turn, whether to reviews from buyers on Amazon or to expert reviews elsewhere, the Omega J8006 Nutrition Center Juicer always draws praise for its capabilities and ease of use. To be sure, though, it’s one of the more expensive masticating juicers on the market, with an MSRP of $299.99. When this juicer is in your hands, though, you’ll feel like you’re holding something that’s worth its price. It features incredible solid and sturdy design with an ergonomic flair that makes the machine comfortable and pleasurable to actually use. Unlike other similar products, it also features fewer components, making pulling it apart a cinch! Better yet, all of the parts are dishwasher safe, meaning that actually keeping your machine clean is incredibly simple. Speaking of the machine’s look, you’ll note the shiny chrome that makes up the body of the machine. It’s swooping lines and reflective exterior make it a kitchen appliance that can fit quite easily into most any kitchen’s aesthetic. However, if you don’t plan on leaving the juicer out, then you’ll be happy to note that handle on the top of the machine, which makes getting this masticating juicer in and out of a cabinet an absolute breeze. Of note, though, are the removable and cleanable parts. Though the ease of cleaning is a definite plus, the plastic look does somewhat detract from the sleek chrome look of the rest of the machine. Of course, what most people care about is performance. In this department, you’ll be happy to learn that the Omega J8006 Nutrition Center Juicer excels with flying colors. 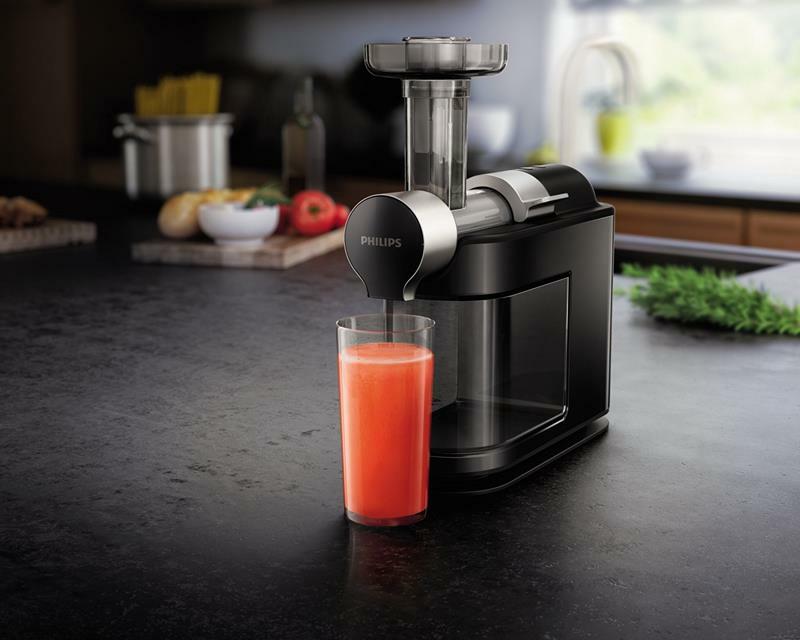 According to testing conducted by consumer electronics reviewer CNET, this masticating juicer is capable of extracting juice with 76.8% efficiency. 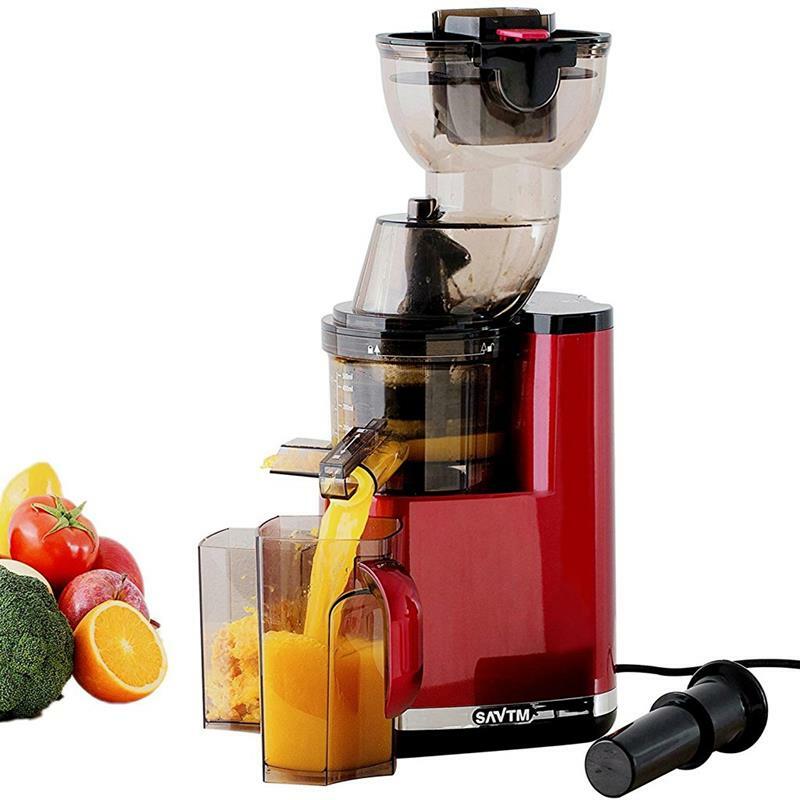 This is notably better than other similarly priced masticating juicers on the market, including the VonShef Premium Slow Masticating Juicer, which is only capable of extracting juice with an efficiency of around 64%. This efficiency is possible thanks to the design of the juicer itself. It features a two-step masticating process that’s driven by a motor capable of generating the equivalent of two horsepower thanks to incredible gear reduction. That may seem like a lot of power for a juicer, but trust us when we tell you that it’s worth it! The two-step process itself is actually designed to mimic the masticating of the human mouth itself. As the fruits and vegetables pass through the spout, they are pressed firmly by the GE Ultem Auger. This auger is capable of extracting an extraordinary amount of juice from even the most stubborn vegetables like kale and wheatgrass. After being pressed, the fruits are then grinded at 80 RPM, while the pulp is juiced during the second step of the process before being ejected into the 2-liter pulp container. The low RPM of this juicer is worthy of note here. While it does increase the time necessary to juice your fruits and vegetables, it does keep friction and exposure to air at a minimum. These two factors help to preserve the natural enzymes and nutrients in the fruits and vegetables you’re juicing, leading to a healthier end product. Also, this helps to preserve the natural flavors of your fruits and vegetables, leading to a much tastier juice than you’ll get with other similarly priced masticating juicers. In addition to the above health and flavor benefits, the low RPM work of the Omega J8006 Nutrition Center Juicer offers something else. It leads to significantly less foam than you’ll get with many other masticating juicers and all centrifugal juicers. This may seem like a small thing, but that lack of foam means that your juices will have a much longer shelf life. 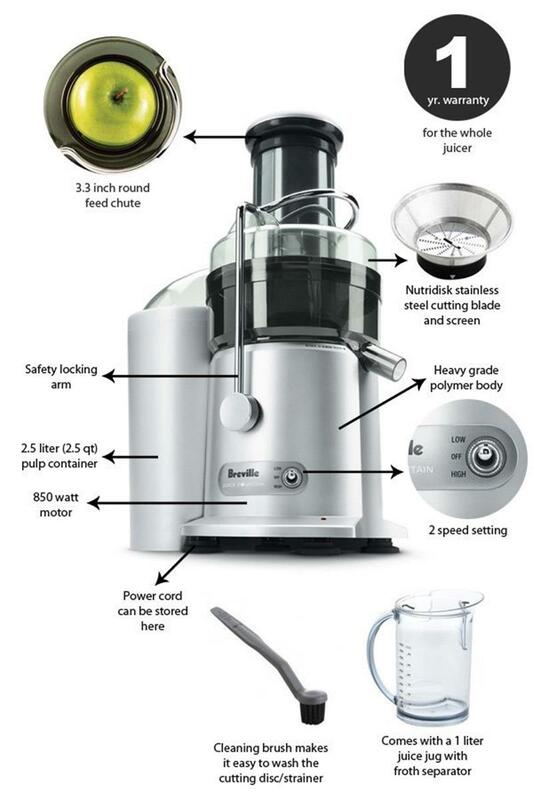 In fact, any juice you make with our pick for the best masticating juicer can be kept up to 72 hours! This machine isn’t just a juicer, though! It can do so much more. If you’ve ever been interested in making your own nut butters, for example, you’ll find that this masticating juicer is equal to the task. You can also take advantage of included attachments in order to extrude your own pastas for a real home-cooked delight. In addition, you can also use this juicer to create your own homemade baby foods, and even to grind coffee and fresh spices. You can even make homemade soymilk, if you’d like. In our testing, there was only one drawback to this machine. It features a 1.5-inch chute, which is good enough for most uses, but which will require you to break down bulkier fruits and vegetables. This definitely isn’t a deal breaker, but it is unfortunate that given the machine’s other incredible qualities that Omega would skimp just a bit in this department. If there’s one place, though, were Omega didn’t skip, it’s the warranty. This machine is backed by a 15-year warranty, meaning you’ll never have to worry about your machine breaking down after your initial purchase. Even so, the odds that you’ll have to make use of this warranty are relatively small. As mentioned, the machine is incredibly well made and it holds up tremendously to even the most consistent and demanding use. And those are just a sampling of the hundreds of reviews you can find online. If you’d like to take a closer look at the product on Amazon, and also to read what other users of our pick for the best masticating juicer have to say, then just click right here! 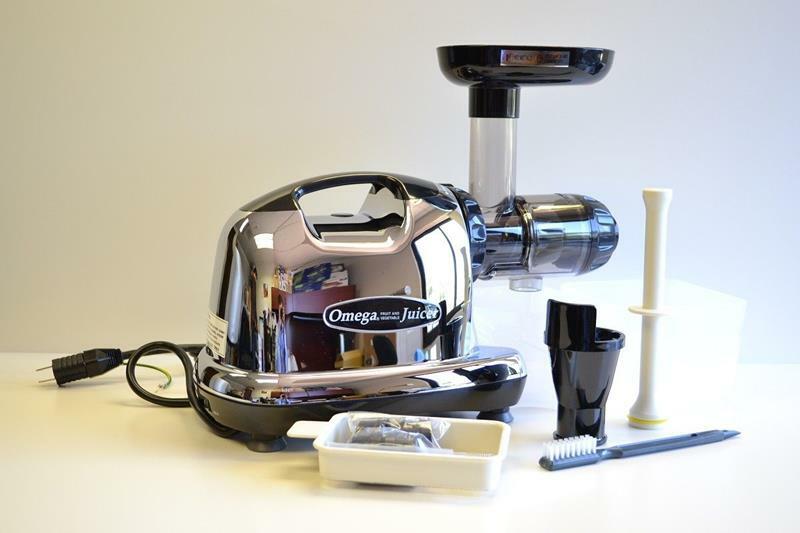 While we stand behind our pick of the Omega J8006 Nutrition Center Juicer as the best masticating juicer on the market, we understand that the $300 price tag might be a bit too much for some. Whether its simply not in your budget to spend $300 or more on a juicer, or you simply don’t want to invest that much in juicing before trying it out, we understand that you might be looking for a good budget option. 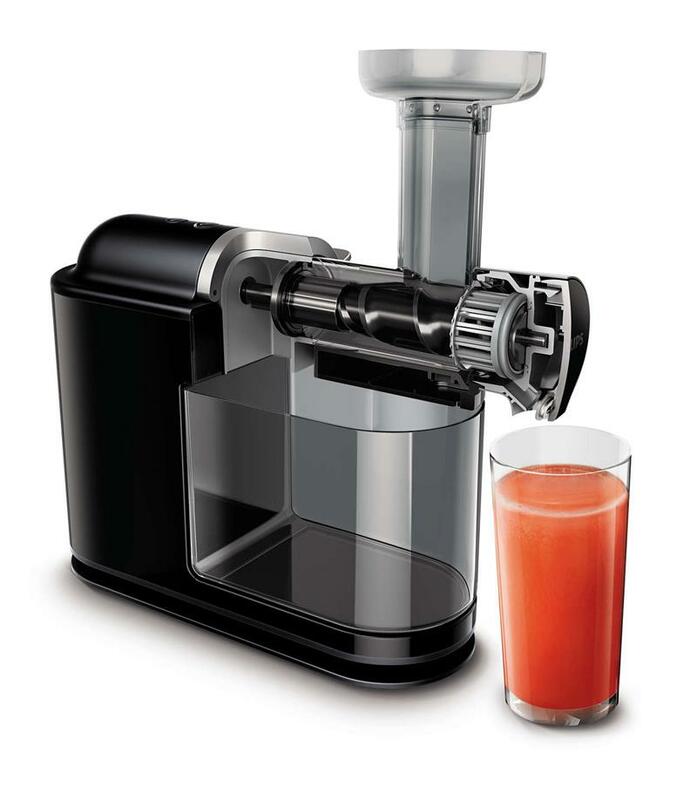 For this we recommend the Big Boss Heavy-Duty Masticating Slow Juicer (AKA the Big Boss Vitapress Juicer). On the market for some time, and once fetching a price tag in the mid-$200 range, you can now get your hands on one of these for less than $100 through Amazon and other major retailers. This masticating juicer certainly isn’t going to win any design awards for the way it looks. With simple white and clear plastic components, it has the look of standard kitchen appliances. Given all of the plastic, you might be surprised to learn that this machine weighs in at a little over 10 pounds. Needless to say, if you plan on storing it between uses, this can make moving the machine in and out of cabinets a bit awkward. Still, we’re talking about an entry-level masticating juicer for under $100, so a lack of long-term durability is to be somewhat expected. At a much lower price point, this masticating juicer offers many of the benefits and features you’d expect from something three-times as expensive. Where this product truly excels, though, is in its juicing ability. Like more expensive masticating juicers, you can load this thing with even the hardest to break down fruits and vegetables, and it will perform admirably. 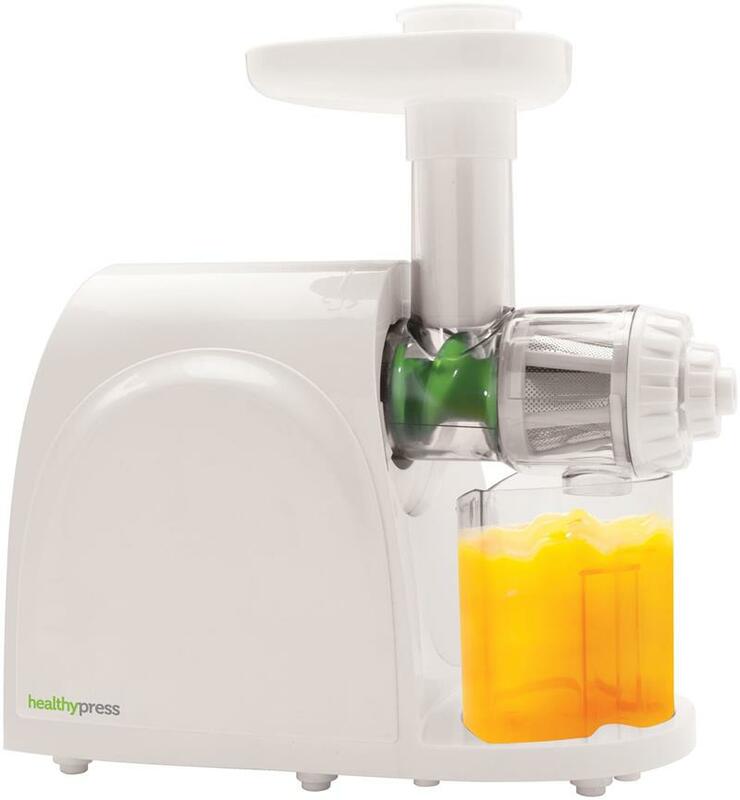 Like our pick for the best masticating juicer, this machine works with a two-step process, first compressing your fruits and vegetables before pressing the pulp created. Unlike our pick, though, this machine has a much lower efficiency. 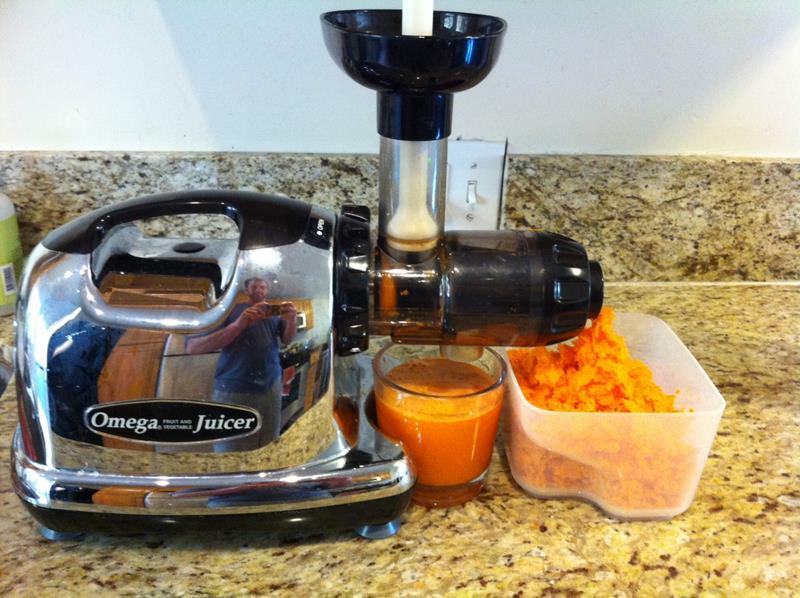 Especially as compared to the Omega J8006 Nutrition Center Juicer, you’ll note that the leftover pulp is much wetter, a clear signal of much lower yield. Still, you’ll find that this masticating juicer is able to extract much more juice than a similarly priced centrifugal model. If you’ve decided to give this model a shot, be sure to remember that patience is a virtue. This slow juicer is, to put it bluntly, much slower than its more expensive brethren. However, the food chute is quite sizable, meaning that you won’t have to spend as much time breaking down fruits and vegetables before juicing them. In addition, there’s also a reverse function for the auger, which makes it easy to get the juice flowing again if the works get clogged up during operation. Worth noting, it is recommended that the machine be in operation for only 10 minutes at a time. (Any longer can cause the machine to overheat. At best, this will cause nutrients, enzymes and antioxidants to be lost from your juices; at worst, this will cause the machine to break down, possibly permanently.) Still, despite these drawbacks, you’ll find that the machine is incredibly easy to operate once it’s assembled. This masticating juicer is also just that: a masticating juicer. 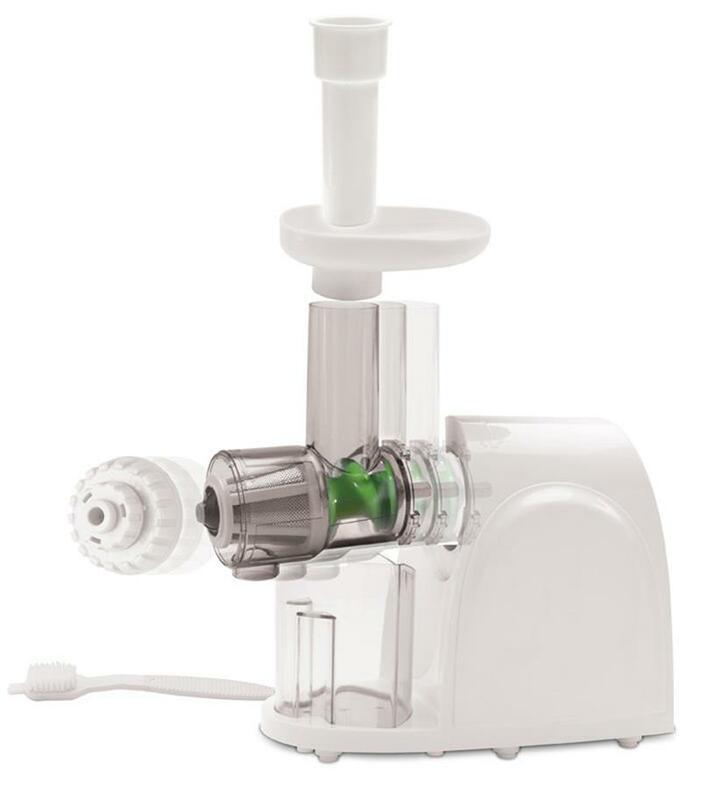 Unlike the Omega J8006 Nutrition Center Juicer, the Big Boss Heavy-Duty Slow Masticating Juicer does not come with any attachments for uses like making fresh pasta or baby food. In fact, some users of the machine note that it can have some difficulties with more fibrous vegetables, particularly carrots. In addition, its plastic construction makes it a bit louder while in operation than some people might like. Given that this is an entry-level masticating juicer, you might not be worried about the warranty, but it does bear noting in this circumstance. The Big Boss Heavy-Duty Slow Masticating Juicer comes with a limited two-year warranty. Not a deal breaker, to be sure, but still something to consider given the ‘cheaper’ construction of this product. Also, some buyers of this machine have noted that customer service (provided by the manufacturer, E. Mishan & Sons, Inc.) is virtually non-existent for this product. Amazon reviewers of the Big Boss Heavy-Duty Masticating Slow Juicer largely praise the devise, also noting that it offers quite a bit for the price point – especially considering it’s a third of the price of most other masticating juicers. However, like us, they fault the device for being made more cheaply than other masticating juicers, and also note that they’ve encountered difficulties when attempting to get customer service for their machines. Still, when you’re paying less than $100 for such a machine, you can’t expect to have everything! 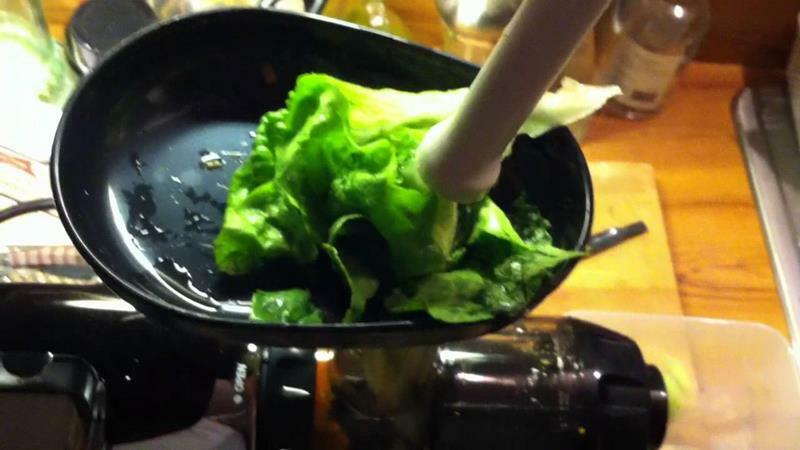 OBREKO Slow Masticating Juicer: Here’s another option for those of you looking for a budget masticating juicer. 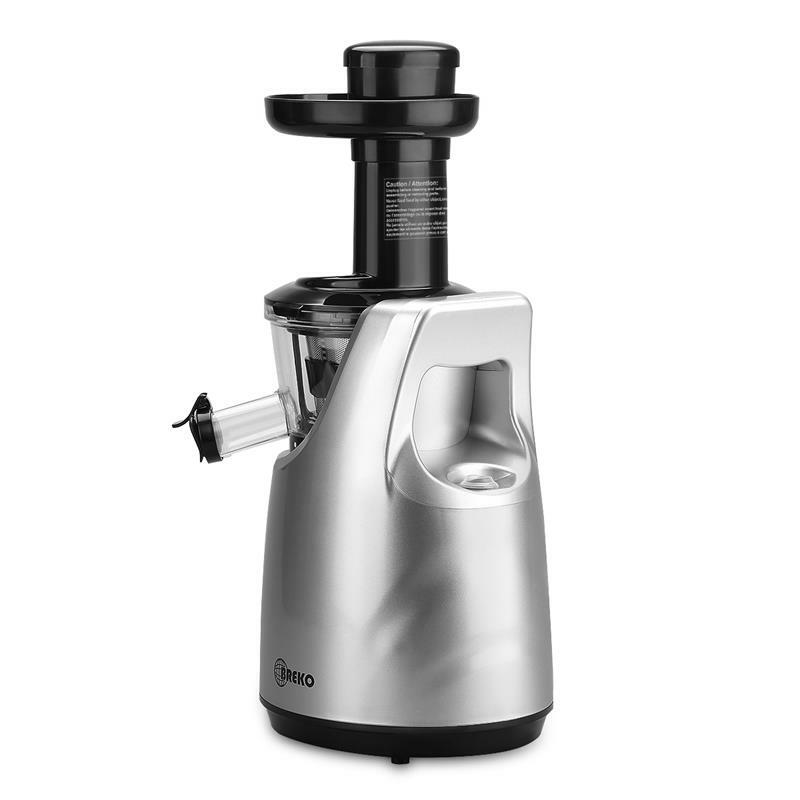 It has an MSRP of $129.99 and operates at 65 RPM, which keeps friction and oxidation down, leading to healthier juices. Some users note, though, that you need to be a bit cautious with it when feeding in your fruits and vegetables, as it can easily clog up. Still, with discounts frequently taking the asking price below $100, it’s hard to argue with the value this machine offers. 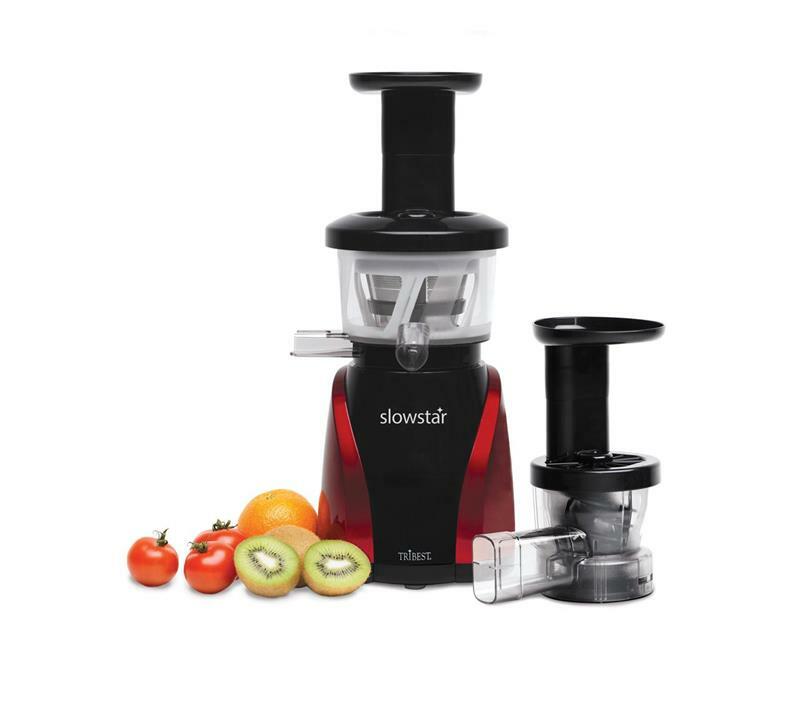 SAVTM JE120-08M00 New Electric Masticating Wide Mouth Whole Chute Anti-Oxidative Fruit and Vegetable Slow Juicer: That’s a mouthful of a name, isn’t it! Well, wouldn’t you know that the name is a hint for this masticating juicer’s best feature. The food chute on this machine is 3.5-inches wide, which means you won’t have to worry as much about breaking down fruits and vegetables before feeding them into the machine. In addition, it operates at an incredibly slow 35 RPM. The MRSP is $350.00, but you can usually find this unit on sale for as low as $200. 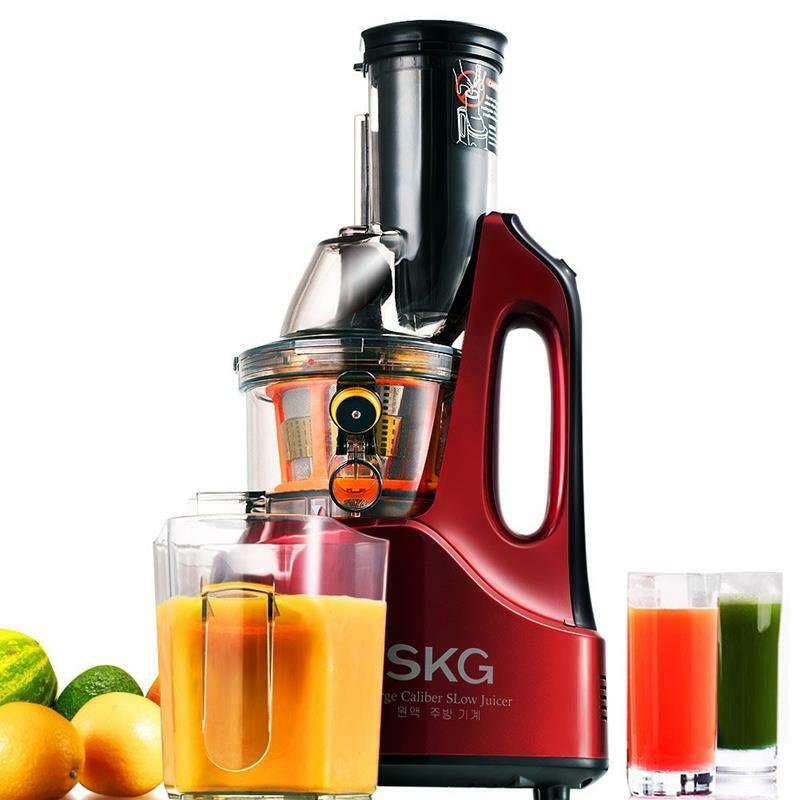 SKG New Generation Wide Chute Anti-Oxidation Slow Masticating Juicer: Like the above masticating juicer, this model features a wide food chute – this one’s is 3-inches wide. It offers functionalities for more than juicing too, as it can be used to make tofu and even sorbet. One thing to know about this machine, though, is that it’s quite heavy, weighing in at around 25 pounds. However, that weight does correspond to an incredibly durable product that’s backed by a 2-year full warranty and a 10-year limited warranty for the motor and machine body. Tribest SW-2000-B Slowstar Vertical Slow Cold Press Juicer and Mincer: One of the best-selling masticating juicers on Amazon, this machine has drawn praise from a number of different circles. It operates its auger (made of GE Ultem like our pick for the best masticating juicer) at a slow 47 RPM, which helps with the preservation of nutrients and enzymes in your juices. In addition, this machine comes with attachments for making sorbets and nut butters, doubling its usefulness. It’s a great machine, to be sure, but its high MSRP of $449.95 is what kept us from strongly considering it for our best-of pick. Phillips HR1897/34 Micro Masticating Juicer: If you’re looking for a less bulky masticating juicer, say for a smaller kitchen, then this is an excellent option. It’s as fully featured as other similarly priced juicer, but it has a much slimmer profile, preserving much-needed counter space. Another benefit for this juicer is its easy maintenance. 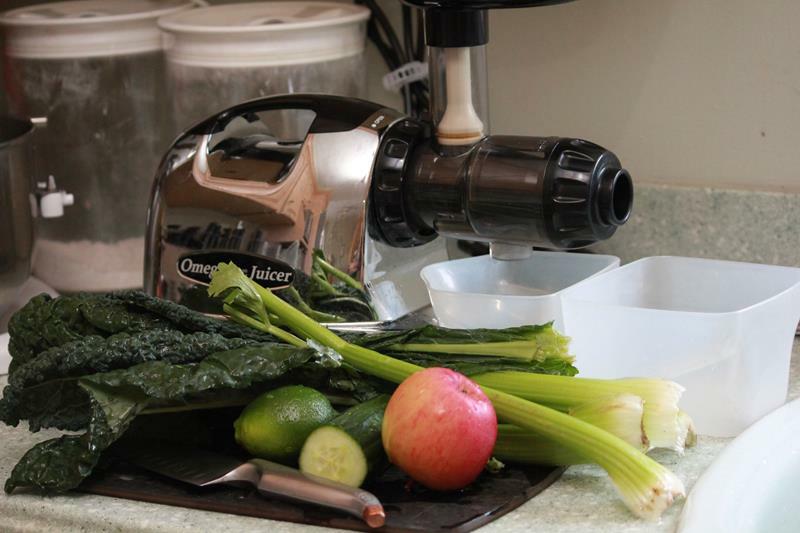 After juicing, all of the components can be easily pulled out and cleaned in under a minute. Still, the slim profile does mean that it’s not as robust as larger masticating juicers, so it’s less than ideal if you plan on juicing in bulk or for the whole family. 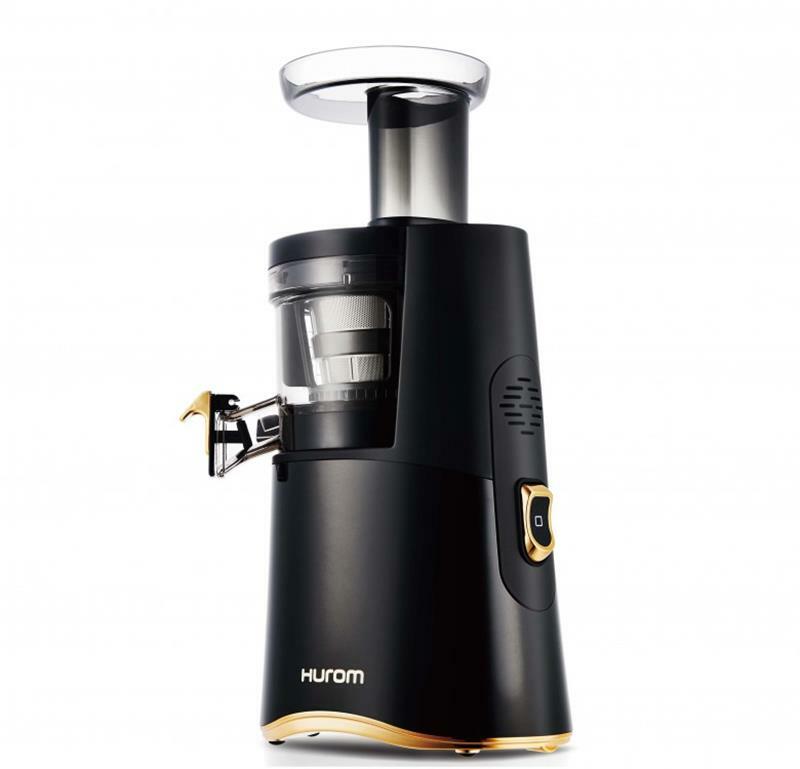 Hurom H-AA Slow Juicer: On the flip side, if you’re looking for a large masticating juicer that has a look that oozes luxury, then the Hurom H-AA Slow Juicer may be the right choice for you. Reviewers note that this machine is incredibly quiet and also capable of extracting juice with a high efficiency (CNET notes that it does so with 75% efficiency.) However, that sleek look and efficiency comes at a high MSRP of $429.99, making it one of the most expensive masticating juicers on the market. 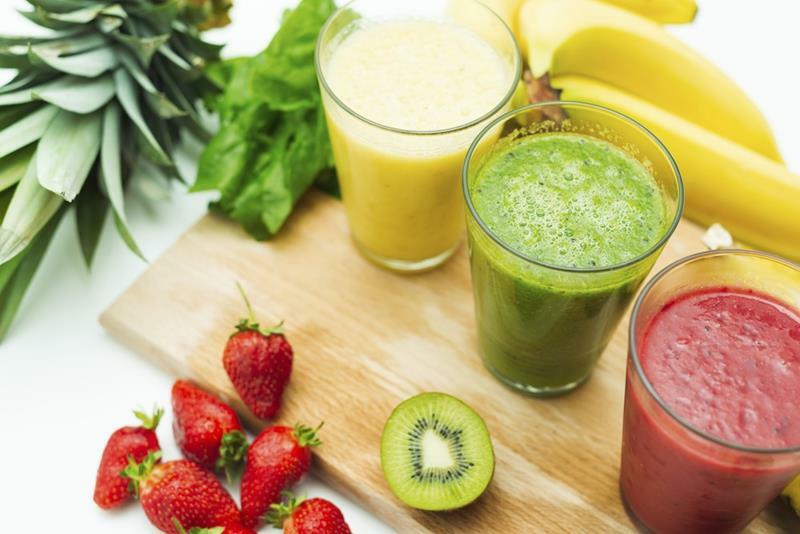 If you’re concerned with looks, the extra money might be worth it; if not, there are similarly efficient, more useful, and less expensive juicers out there. 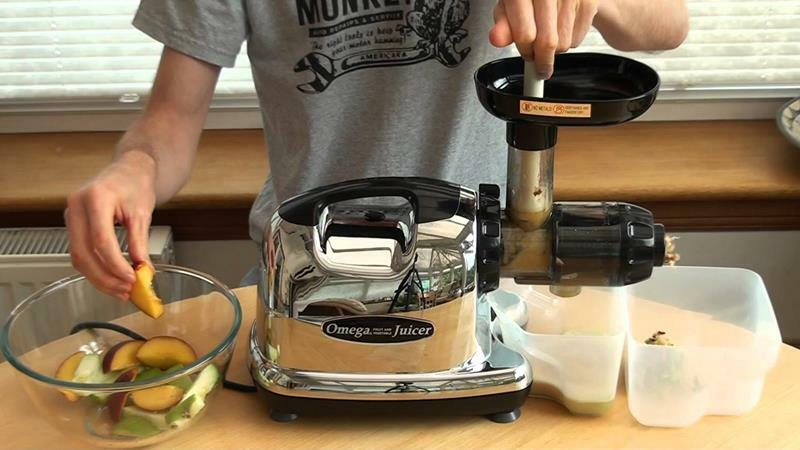 Omega Slow Vertical Masticating Juicer: If you like the sound of our pick for the best masticating juicer, but feel that $300 is just a bit too much, then this is our recommendation. Built by the same brand that’s known for the quality of its juicers, this model has a slimmer profile but the same efficient juicing capabilities. 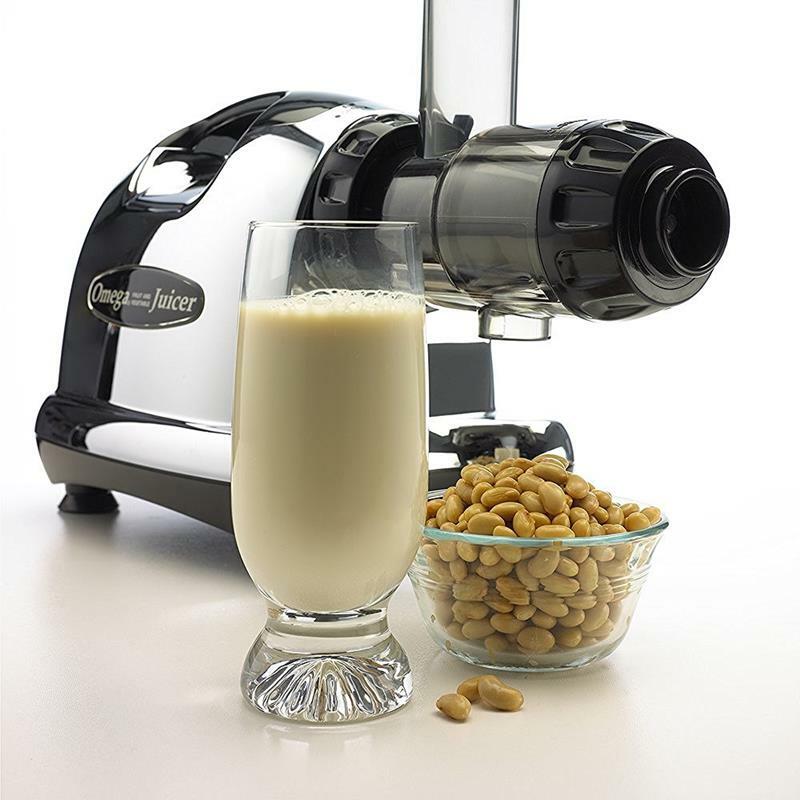 Unlike the J8006 Nutrition Center Juicer, though, you won’t get any of the extra bells and whistles with this model – no pasta making, baby food or nut butter here. That said, if juicing is all you’re worried about, then you might find this offering from Omega perfect for your needs.